Similar to how it handles other restricted attachments, if you try to attach a .js file to an email on or after the 13th, you'll get a notification that says it's blocked "because its content presents a potential security issue." The service will detect .js files even if they're sent in compressed form as a .zip, for example. 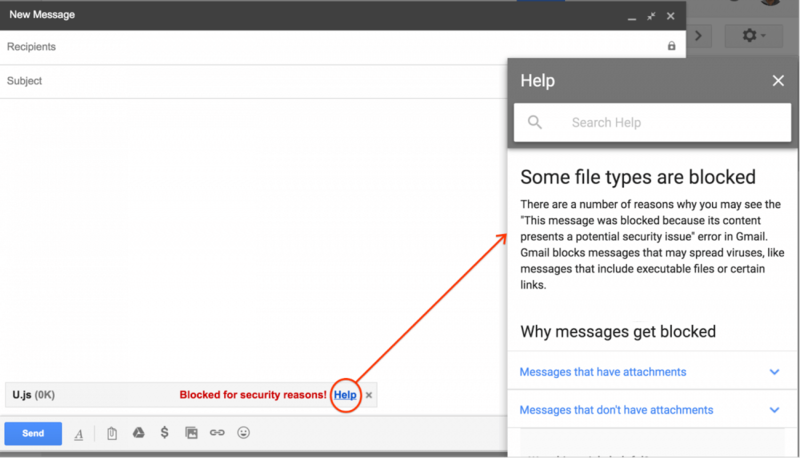 It’s unclear Google will also show a warning when users receive emails with JS files attached.